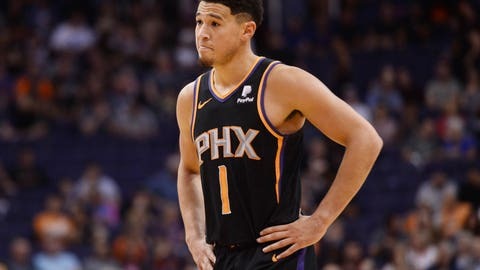 Suns: Ayton has a team rookie-record 39 double-doubles, two more than Alvan Adams had in 1975-76. . Booker has scored 25 points in 10 straight games, one short of Amare Stoudemire’s franchise record. … F Josh Jackson had 10 points in his first game back after missing three with a right ankle sprain.